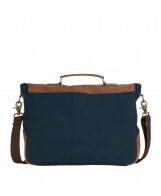 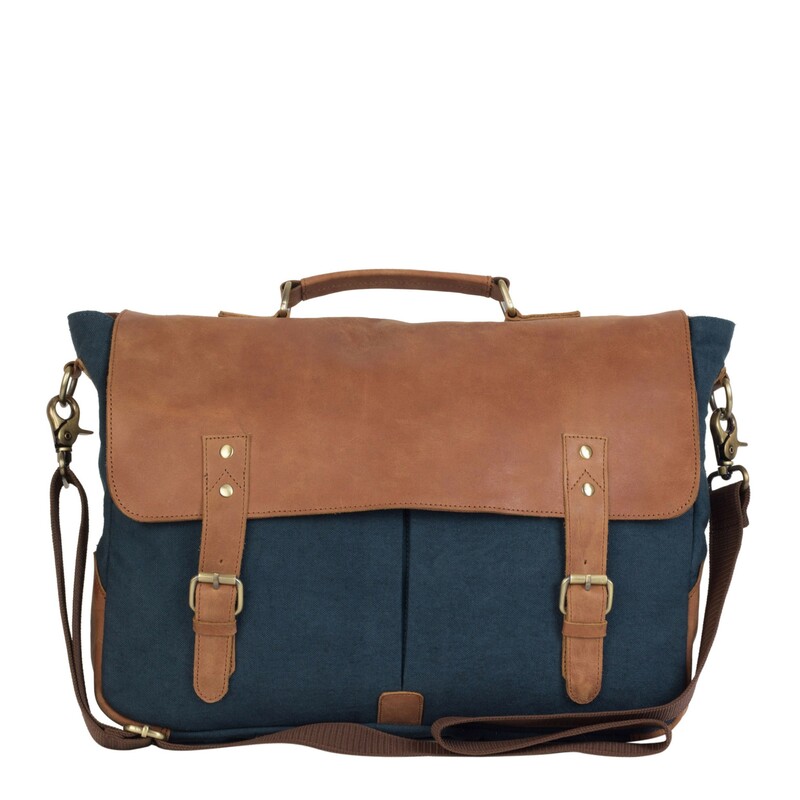 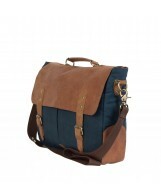 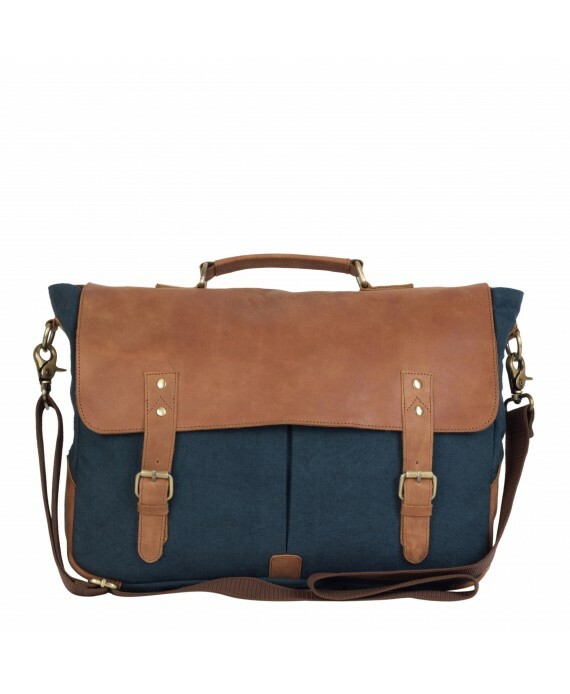 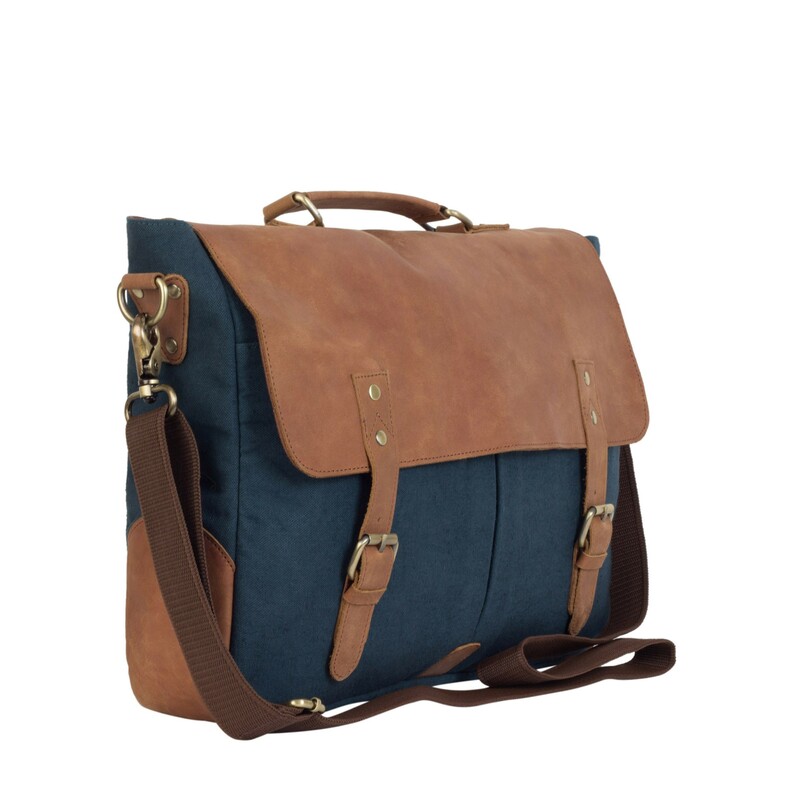 Laptop Bag Made in genuine leather and 100% cotton canvas. 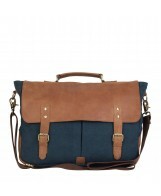 Laptop Bag Made in genuine leather and 100% cotton canvas. 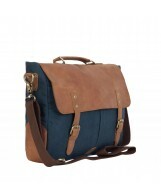 It is supported by high quality and heavy hardware. 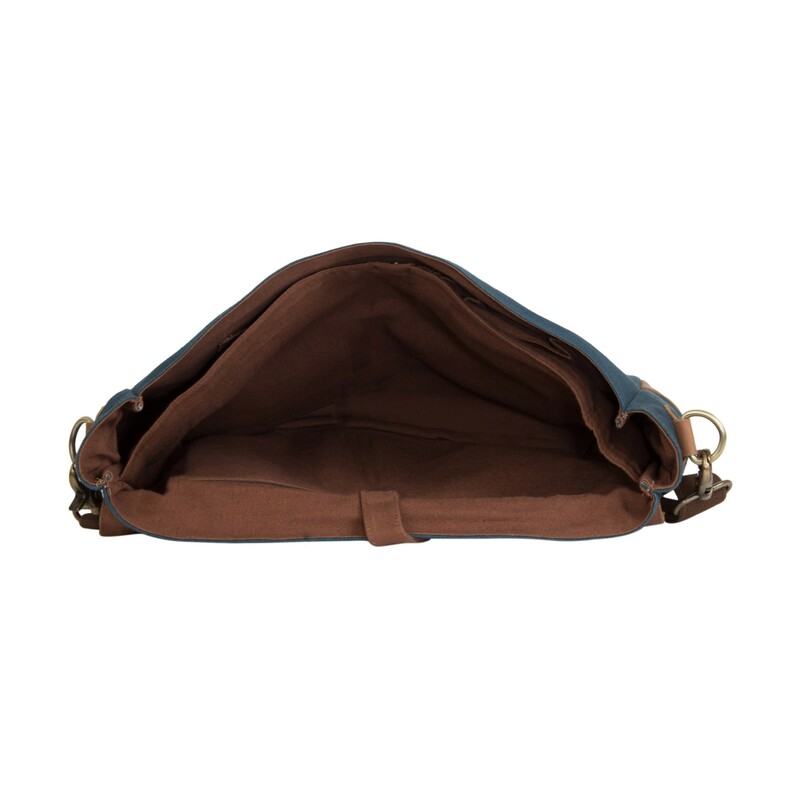 It has two large slip pockets in front with snap button closure. 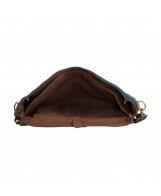 Divided in two compartments, it has an inside zip pocket and an organiser sleeve. 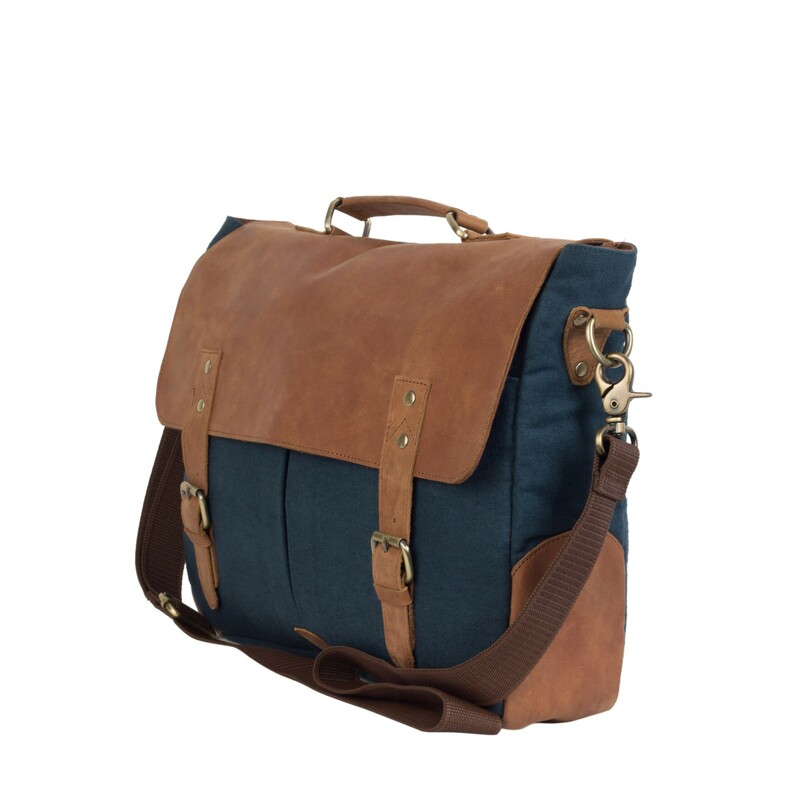 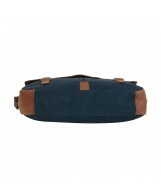 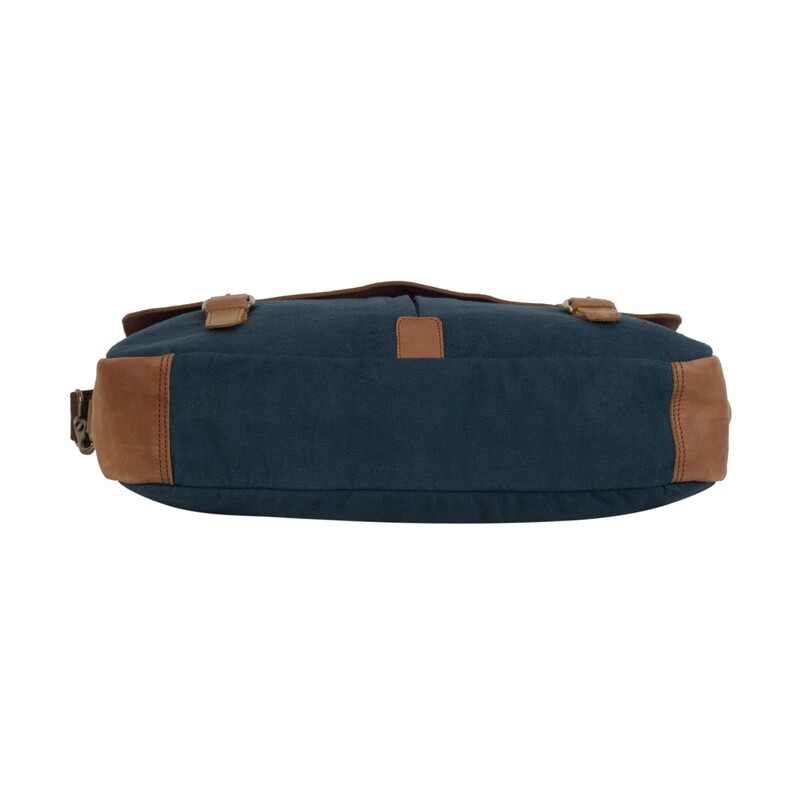 The main compartment has a leather flap with two leather straps and buckles closure. 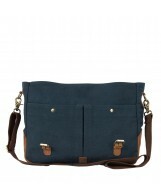 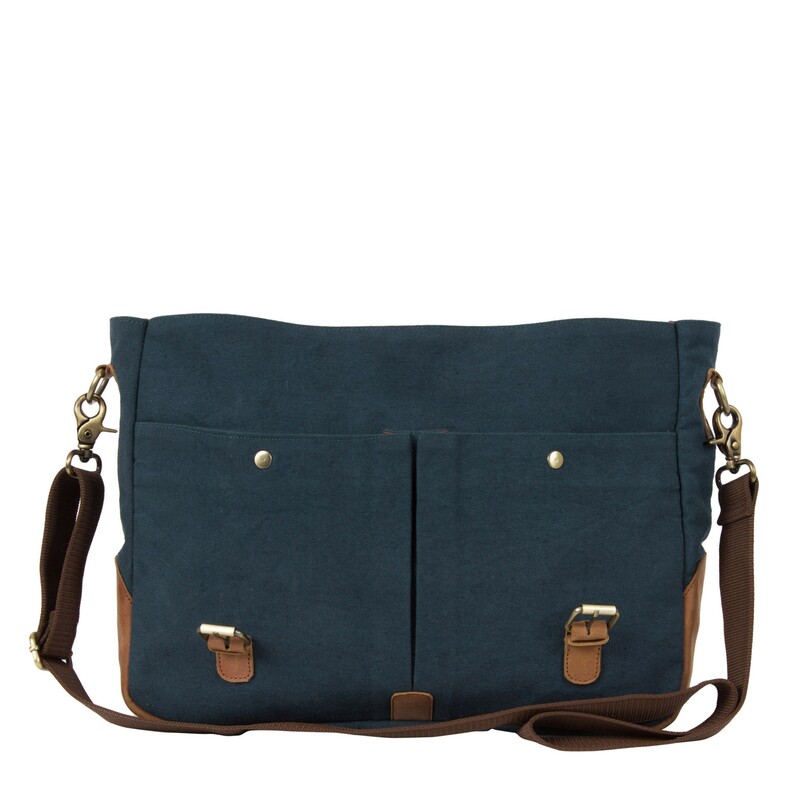 It has a short haul handle and a detachable shoulder strap that is adustable in length. 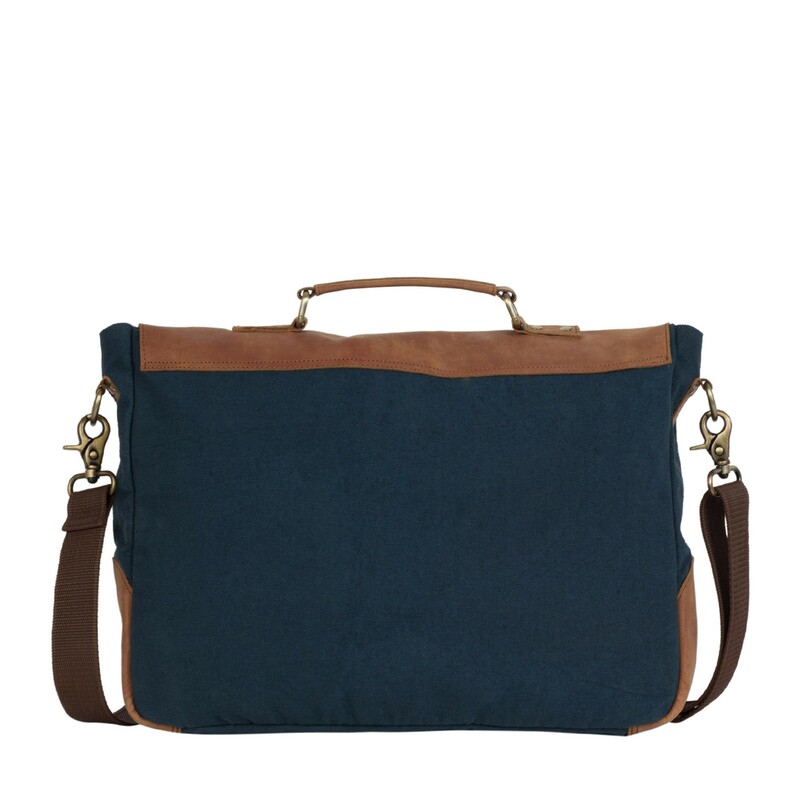 Can fit upto 15.6 inch screen size laptop comfortably.